I’ve been way to quite for the last year or so. Not that I didn’t want to write stuff down and share with the community, but I just didn’t have any time left to do so. Let me explain why. When I started my working life I started in construction, and when my IT hobby my career I always dreamed of building our own house sometime. Two years ago this dream was realized when a peace of land came up for sell in our hometown. We (our family) put all the time and effort into this, but the outcome is amazing. 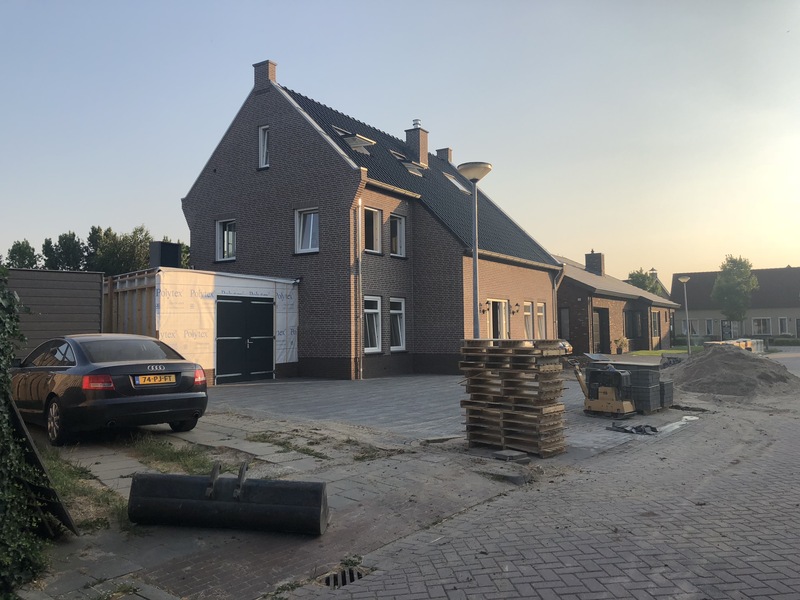 I’ll put the final pictures online as soon as everything is finished, but we moved in to the house 2 weeks ago, and are just finishing with the final projects. In the mean while we are working (Thanks Max!!) hard on the TECHunplugged website, and expect a lot of new stuff on there very soon! Last week I attended VMworld 2016 in las Vegas. The VMware CEO, Pat Gelsinger, opened VMworld 2016, with the statement that “a new era of cloud freedom and control is here.” During the presentation Pat introduced VMware Cloud Foundation and the Cross-Cloud Architecture. According to them, this will be game-changing and “will enable customers to run, manage, connect, and secure applications across clouds and devices in a common operating environment”. So let’s jump into what Cloud Foundation is. The way VMware explains Cloud foundation is as glue between vSphere, Virtual SAN and NSX which enables companies using it to create a unified Software Defined Data Center platform. In other words: it is a native stack that delivers enterprise-ready cloud infrastructure for the private and public cloud. As VMware Cloud Foundation is their unified SDDC platform for the hybrid cloud, it is based on VMware’s compute, storage and network virtualization, it delivers a natively integrated software stack that can be used on-premise for private cloud deployment or run as a service from the public cloud with consistent and simple operations. The core components are VMware vSphere, Virtual SAN and NSX. Another component of VMware Cloud Foundation is VMware SDDC Manager which automates the entire system lifecycle and simplifies software operations. In addition, it can be further integrated with VMware vRealize Suite, VMware Horizon and VMware Integrated OpenStack (where another announcement was made on during VMworld). select VMware vCloud Air Network (vCAN) partners in the near future to enable consumption of the full SDDC stack through a subscription model. The partners will deliver a SDDC infrastructure in the public cloud by leveraging Cloud Foundation. The road ahead for VMware can be no else than the path of Cloud Foundation and the Cross Cloud architecture. We need to see if the path chosen is enough to get VMware back on track again. In my opinion VMware is late to the party and they should have kept their good relationships with partners at the first place. But truth be said, it seems a very solid foundation for companies to build the next generation datacenters, with VMware’s unified SDDC platform. With some changes in course and a solid development of products VMware might be able to keep their stake in the datacenters. If you are interested on these kind of topics, join us at the next TECHunplugged conference in Amsterdam on 6/10/16 and in Chicago on 27/10/16. TECHunplugged is a one day event focused on cloud computing and IT infrastructure with a formula that combines a group of independent, insightful bloggers with disruptive technology vendors and end users who manage the next generation technology environments. Join us!